Such a wonderful collection of song. Truly representative of the exceptional player/songwriter/engineer, Cody Tripp. It is an honor to be included here. This is full of great musicians and different musical flavors. Its a pleasure to hear it. its an honor to be part of this work! You always serve us with such a great, super cool track , to listen, to have fun and play with it, and to pampered our ears and heart while listening your music Tom! Don't stop and keep it coming! so happy to be part of this album! A good exposition of how wide you cast your musical net with all of these styles masterfully played. A great treat to be included in this group (although hardly a master). Thanks, and keep being you. Tom, this is a great collection of songs representing some wonderful moments jamming here on wikiloops. I'm so pleased to have some of my playing included on this album. I always enjoy jamming to your musical creations. Thank you. I am honored. Thank you very much cody . I learn more and more about Loops . It is fantastic , with such good musicians making music together ! 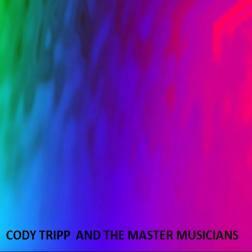 Enjoy the relaxing sounds of Cody Tripp.